This place has taken ‘washing your dirty laundry outside’ quite literally. In the fancy upscale bustling city of Mumbai, little does one notice the extensive open laundromat with thousands of dhobis (washers) making our lives cleaner. Close to the fancy Mahalaxmi Racecourse frequented by Mumbai elite, and flanked by tall skyscrapers, a typical day in Dhobi Ghat is, waking up, collecting clothes, washing, drying, washing, drying, and it goes on in a loop all day! Right from 1890, clothes and linen pour in all day from the fancy hotels and such places across Mumbai. 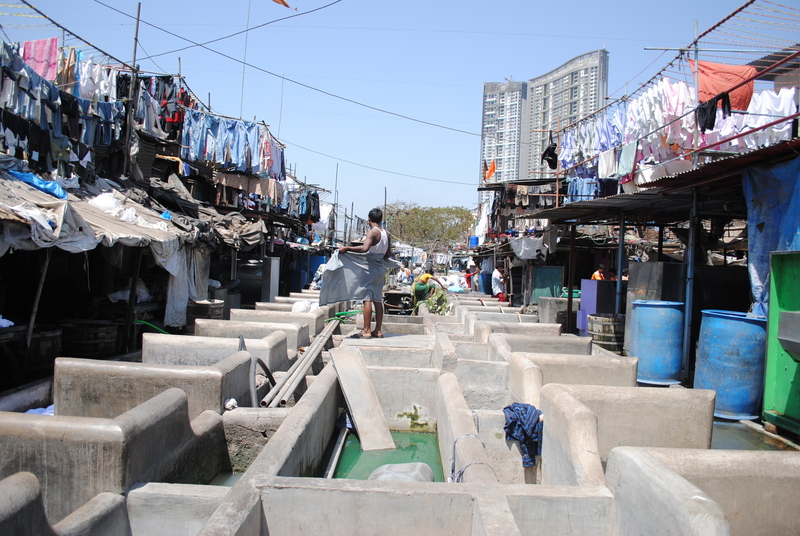 During a brief stay in Mumbai several years ago, for some reason, I was drawn to the dhobi ghat and its crazy energy while crossing the bridge over it. I had crossed it in the past several times, but that day I ended up walking into dhobi ghat and chatting up with the people. They wash over a lakh clothes each day, and the Laundromat runs for 18-20 hours each day. Flogging with ticks on stone slabs, and sweating out the manual labour each day is surely no menial task. In times when washing machines are quite common, these dhobis wash dirty soiled clothes with their own hands, dry it on the never-ending line perched on bamboo sticks, iron it, and send it out to the respective owners. Each day! At a time when it was not normal for people to go looking for offbeat experiences, I asked a washer, Rijo chacha, if I could stay with them and learn from their lives. Of course, I received a look of ‘you are a madman’. Well, the whole place had a simplistic charm. I wanted to genuinely learn about how they lead their lives. After sufficient pestering, he agreed to let me stay in Dhobi ghat for over 2 months. The people there really didn’t have anything. They lived in a tiny space which was shared between over a dozen people. Since at night, there wasn’t sufficient space for everyone to sleep in the room, people took turns and slept on the washing stone slab or in the huge concrete pipes lining the road. They worked really hard all day. Washing clothes day in and out, that too bleaching them and making them stark clean, with bare hands, was tough work. And it didn’t assure them a life of comfort. Yet, the children laughed aloud each day. The dhobis chatted and gossiped while washing clothes in their cubicle-like spaces. The women cooked and cleaned, washed clothes as well, and take care of the little ones. They went out of the way to share their food with me – more often some chapatti and onion to go with it. And I was included in the sleeping turns. I got the chance to chat with all kinds of dhobis – though they had their hands full (literally), their conversations ranged from mundane, to life’s philosophy. In return, they thoroughly enjoyed hearing all the stories from around the world that I brought to them – their eyes twinkled! 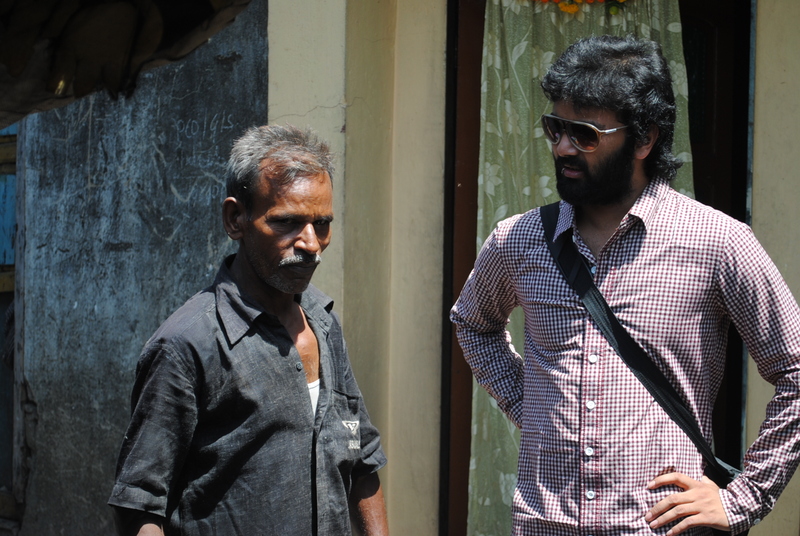 I had some of my biggest learning from life at Dhobi ghat. Those people laughed and cherished what they had – even they didn’t have any comforts to boast of. They didn’t have much for themselves, but they had a heart full of love for one another. 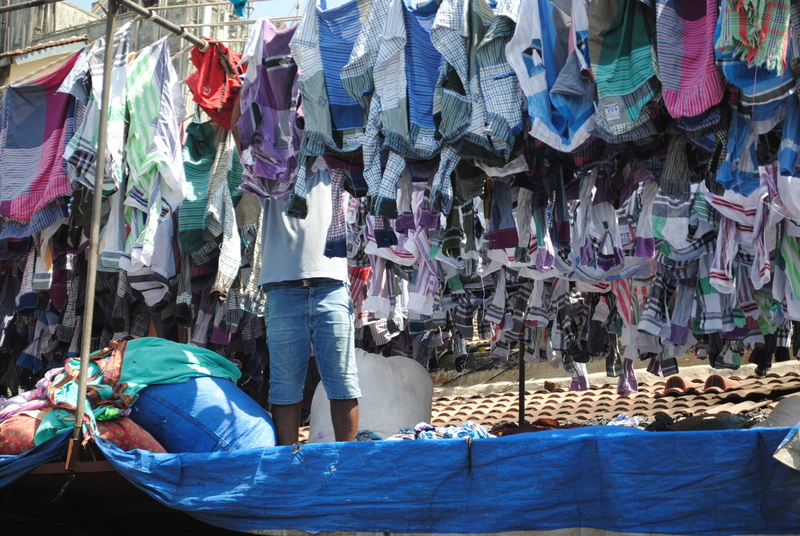 There are several companies offering walking guided tours of Dhobi Ghat nowadays https://theculturetrip.com/asia/india/articles/awash-with-color-a-visual-tour-of-mumbais-dhobi-ghat/). But I highly recommend just walk in there, and get connected to them. service. Do you’ve any? Please let me recognise so that I may subscribe. of precious experience concerning unexpected emotions. What’s up, after reading this amazing post i am also glad to share my knowledge here with friends. wish to suggest you few fascinating things or advice. It’s an awesome post in support of all the web users; they will obtain advantage from it I am sure. Hurrah! At last I got a website from where I be able to genuinely get valuable facts regarding my study and knowledge. frequently. I am somewhat certain I’ll be informed lots of new stuff right here! Thank you for some other magnificent post. The place else may anyone get that type of info in such an ideal means of writing? Thanks for one’s marvelous posting! I definitely enjoyed reading it, you happen to be a great author.I will be sure to bookmark your blog and will often come back sometime soon. I want to encourage that you continue your great job, have a nice morning! website unintentionally, and I am shocked why this accident didn’t took place earlier! this matter to be actually something which I feel I’d by no means understand. I’ve a venture that I’m just now running on, and I have been at the look out for such info. time and actual effort to generate a top notch article… but what can I say… I hesitate a lot and don’t manage to get nearly anything done. After looking into a handful of the blog posts on your web site, I really like your technique of blogging. will be checking back in the near future. Please visit my website as well and tell me your opinion. be honest but your blogs really nice, keep it up! I’ll go ahead and bookmark your site to come back later on. Very instructive and fantastic anatomical structure of written content, now that’s user friendly (:. Do you mind if I quote a couple of your posts as long as I provide credit and sources back to your site? My website is in the exact same niche as yours and my visitors would definitely benefit from some of the information you present here. Please let me know if this okay with you. Many thanks! Truly inspiring to read your experiences!